Board your private jet charter and let it whisk you away to the Bordeaux-Mérignac airport, gateway to the enchanting city of Bordeaux and the surrounding wine region. Prepare to be enthralled by the “La Perle d’Aquitaine” (The Pearl of Aquitaine). Bordeaux is a port city on the Garonne River, located in southwestern France, known for its rich, cultural variety of red wines, produced in their numerous vineyards. The city is also known as the “La Belle Endormie” (sleeping beauty), as the old centre previously had black walls, due to the pollution. However, this has been rectified, and there was an almost entire renovation of Le Port de La Lune. Nonetheless, Bordeaux’s picturesque antiquity remains intact. 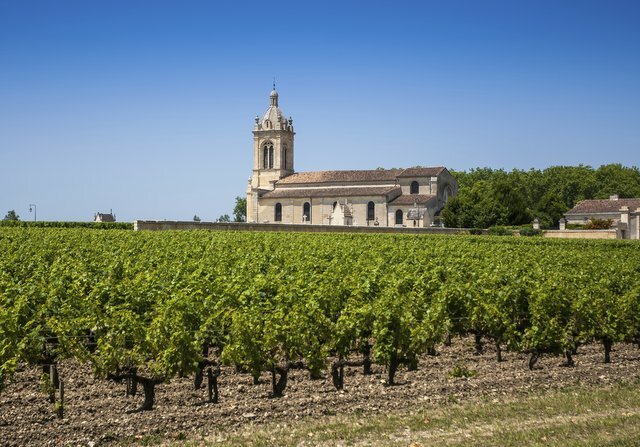 Bordeaux is home to many vineyards and chateaux, each with their own preference or specialty, how could you possibly decide the perfect one to choose? First and foremost, it is very dependent on the season, for example January, not only a frosty and barren month, is when many a châteaux is blending their wine. If you are visiting without prior knowledge or preference for wines, I advise a visit to the Haut Medoc appellation. It houses almost 400 different châteaux, producing wines or operating vineyards. With so many to choose from, you are bound to uncover a bottle that is perfect for your palette. You will need to book appointments in advance for visiting and experiencing the fantastic array of wines on offer. On the other hand, if you enter Bordeaux with a specific wine preference, you should always book ahead and allow yourself enough time to drive from place to place, so you can savour the distinctive notes. I suggest mid-April as a prime time for a visit. Perhaps arrange three visits for one day, giving you enough time to explore the diversity, whilst ensuring time to have an ample lunch. Bordeaux, as well as having a major wine industry, is also famed for it’s beautiful history and antiquity, with some truly exquisite sights, such as the Bordeaux Cathedral and Basilica of St Michael. Bordeaux Cathedral (Cathédrale Saint-André de Bordeaux) is a striking Gothic structure, situated in the very heart of the capital of Aquitaine. Roam quietly through the impressive building, and appreciate the stunning arches, tremendous ceilings and magnificent stained glass. Allow the peaceful serenity to encapsulate you as you wander through Bordeaux’s visually poetic history. The exterior is as exceptional to the interior, with traditional architecture and soaring turrets, the cathedral is a pale splendour that must be visited. Following devastation during the French Revolution, the entrance at the north wall has been handsomely restored, and is the epitome of 13th century French Gothic architecture. Whilst you are enraptured by Bordeaux’s glorious heritage, ensure a visit to the Basilica of St Michael. An ostentatious gothic church that is home to the second tallest bell tower in France. The 114-metre bell tower stands tall and slices through the azure sky of Bordeaux like a proud needle. Place de la Bourse is famed as a Bordeaux sight, also known as Place Royale. One of Bordeaux’s most elegant, attractive squares, the surrounding area is considered to perfectly illustrate Bordeaux architecture at the end of the 18th century. After absorbing Bordeaux’s history and culture, and possibly a few glasses of some utterly delicious wines, an exclusive eatery is definitely a perfect end to a perfect day. We suggest a visit to the luxurious Le Vin rue Neuve, a charming restaurant located in a stunning 15th century building, in the historical district of Bordeaux. With local produce from the markets, prepare your taste buds to be in reverie as you delight in some of the freshest cuisine, created by Chef Antony Barcelona. Of course, as Bordeaux is famed for it’s vin rouge, try one of Le Vin rue Neuve’s extensive selection of fantastic wine.